Kolinsky natural brushes are naturally tapered to ensure control and precise detail on your project. Coated in Gum Arabic to keep its shape until used. 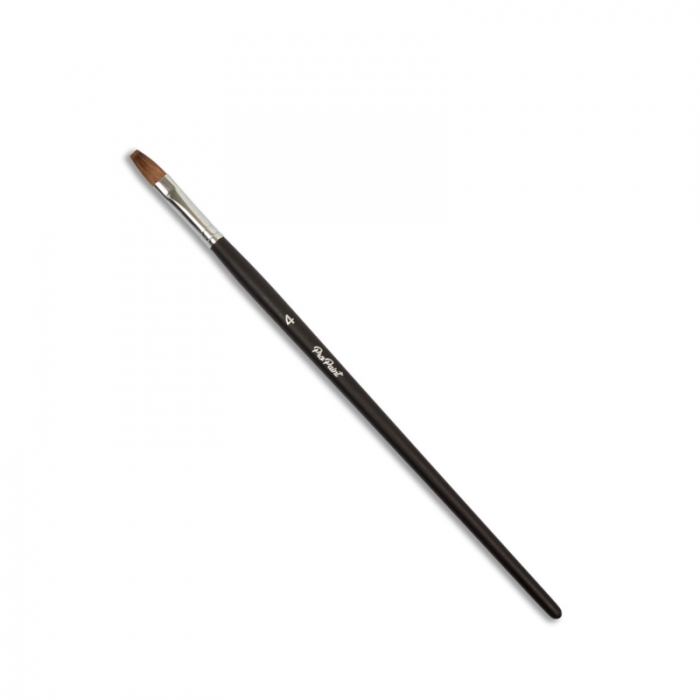 Size 4 flat kolinsky brush are perfect for oil based paints or water based. Wash as recommended by the paint you are using. Allow to dry naturally keeping the shape of the brush by gently pressing the bristle together before leaving to dry. Made from natural Weasel Hair only sourced from sustainable sources.